When my parents visited me last week, I spared some time to bake them some home-made bread so they know how my bread, that is kneaded with bread maker, tastes like. Previously, I could only show off my bread photos to my Mom via Whatsapp or BBM so I was quite happy that they were finally in Malaysia and I could bake something for them. The first bread that I made for my parents last week was Raisin Buns with Butter and Sugar which recipe I adapted from here. My Dad and Mom enjoyed the buns for snack and my Dad was very excited to eat the home-made buns that used no preservatives at all. 2. As per the general bread maker function: Place fresh milk, condensed milk, vanilla extract, egg white, sugar and salt first in the bread maker. 3. Pour the bread flour then make a small hole in the flour. 5. Turn your bread machine on (I use the basic program). Once the mixture has turned into a dough, add the (room temperature) butter in. If you think the dough is too wet, add 1-2 tbs flour, as needed. 6. At the second kneading, add the raisins. 7. Take the dough out of the machine and divide the dough into 4-6 portions, depending on the loaf pan you use. Shape each portion into round ball then place each ball in the lined loaf pan then cover the loaf with a cling wrap. Let the dough proof for 45 mins or until double in size. 9. Slit the centre of each dough rolls with a sharp knife and place a slice of cold butter in the cut area. Egg wash the buns then sprinkle the top with some coarse sugar. 10. Bake the buns in a preheated oven at 180 degree Celcius for 20-25 minutes at the middle rack (turn the oven to fan forced for the last 5 minutes of baking). 11. Once done, remove the buns from the loaf and cool it on a wire rack before serving. **This recipe makes 1 regular size loaf of buns. The interior of the bread. These buns was easy to make and the final results had very soft texture too, which my Mom and Dad appreciated. However, as these buns used no preservatives, they only lasted for about 2 days before they went bad - so consume the buns fast! Days after I baked these buns, I made plain Potato Bread for my parents. You can check the recipe here. As my husband has to work hard outside to bring home the bacon, being a SAHM, my daily life is unquestionably bound to cleaning the house, preparing the food, taking care of Naomi, doing laundry, tending my garden and feeding our pet fish, to name a few. Ensuring that my house, including what we eat and wear, is clean is my priority because clean house and body equal to happy and healthy family. I mean how can we promote a happy and healthy live if we lead an unhygienic life? As such, when EnviroHome asked me to test their natural home cleaning products, I am more than happy to do so. If you are new to EnviroHome, it is actually an eco-friendly home and personal care brand which provides 100% natural ingredients, chemical-free, bubble free and unscented products. Their products are not produced with preservatives, antiseptic, surfactant and other chemical substances that are poisonous to us so their products are very safe for our entire family use. EnviroHome products for me to test. The first product that I want to review here is EnviroHome Food Wash. To be honest, I think Fruit and Vegetable Wash is not a novel product and it has been around in the market for a while now. I have seen such products every now and then but never tried any before. Before EnviroHome sent me a bottle of their Food Wash, I only used lots and lots of tap water to thoroughly wash vegetables and fruits before cooking or serving them to my family. EnviroHome Food Wash for vegetables and fruits wash.
After I used EnviroHome's Food Wash that is non-toxic, unscented and derived from natural ingredients, I realized that it's actually better to wash our vegetables and fruits with a solution like the above mentioned to break down pesticides, wax, insecticides, bacteria and preservatives in vegetables and fruits before consuming them, especially if you don't purchase organic fresh produce. Soaking my non-organic vegetables and fruits with Enviro Food Wash to clear all the harmful bacteria and pesticides. How to use EnviroHome's Food Wash to clean your vegetables and fruits before cooking or eating them raw? Add 1-2 pumps of EnviroHome Food Wash into a large bowl or basin of water. Soak the vegetables and fruits into the solution for 2-3 minutes. Make sure that you put enough water in the bowl or basin to cover all fruits and vegetables. Rub the vegetables and fruits gently. Rinse the vegetables and fruits with running or tap water 2-3 times before cooking or consuming them. From what I understood, EnviroHome products are supposed to be bubble-free so when I noticed that the Food Wash created a bit of bubbles on the water that I used to soak my vegetables and fruits for the first time, I thought I pumped too much of the solution to the water. However, seemingly the product does create a bit of bubbles when used to wash fresh produce because I tried it to wash my green leaf vegetables with it and small amount of bubbles came out again. Soaking my green vegetables on water plus a pump of EnviroHome Food Wash. Anyhow, I found out that it is normal for the bubbles to appear when the Food Wash solution is in contact with running/tap water or when we stir the water in the basin with our hands. These bubbles don't mean anything as neither the colour nor the taste of the vegetables and fruits washed with the solution is affected and they disappear almost immediately. The main point here to remove harmful substances from the vegetables and fruits before putting them into our mouth. Just make certain that you rinse your vegetables and fruits again with running water for a couple of times after soaking your fresh produce with the water that is mixed with this Food Wash - and they are good to go! I turned the above vegetables into this. Yum! Food Wash to clean vegetables and fruits is rather mainstream, isn't it? But what about Food Wash that breaks the bacteria and fishy smells from seafood and raw meat? EnviroHome Food Wash is ideal to clean seafood and raw meat too. To me, this is quite a revolutionary and amazing concept as I hate eating meat or seafood that has very strong fishy smell after being cooked. EnviroHome Food Wash does raw meat too. Try washing your seafood and raw meat with EnviroHome Food Wash because not only it kills all the bacteria and annoying smells from the meat but it also preserves the freshness of the meat so it stays fresh after you keep it frozen for days. I think I am a bit OCD when it comes to wearing clean clothes. I dislike wearing smelly shirts or stained clothes and because of this, I have the feeling that the amount of dirty laundry in our house is slightly higher compared to other small households'. In addition, Naomi's diaper sometimes leaks overnight and she tends to pee on her pants when throwing tantrums so these wet pants and urine-soiled bed sheets add up to the number of dirty laundry that my washing machine has to deal with. Proofing the goodness of EnviroHome Laundry Detergent. The second product that EnviroHome sent me to try was perfect to meet my need in providing my family with clean and fresh clothes day in day out. It's the 1kg unscented chemical-free liquid detergent that contains marine extract and botanical formula. Prior to this, I was a bit sceptical about using fragrance-free detergent as our clothes drying area is not under direct sunlight. That's why I usually only buy super fragrant detergent and occasionally pour some fabric softener into the washing machine as well to avoid my laundry having terrible smell after being hung dry indoor. Chemical-free, colourant-free, bubble-free and fragrance-free detergent. Although EnviroHome laundry detergent is fragrant free, to my surprise, it does not produce any odour problem on my washed laundry after I hang them dry indoor. The detergent cleans brilliantly and my laundry still feels clean and smells fresh like usual, just minus the strong fragrant smell. It's safe to be used to wash kid's clothes. The product's use direction mentions that it is enough to pour 50ml or a full cap of the liquid detergent into our washing machine but I pour two full caps of EnviroHome laundry detergent to my washing machine because my washing machine's capacity is 15kg and I always wash full load of dirty laundry into my washer to save electricity and water. Mommy's laundry duty is always ON. Speaking of electricity and water, EnviroHome Laundry Detergent will help us save our utility bills and protect environment too because it contains anti-foaming agent. Washing foam-free means using less water to rinse your clothes. See below pictures as a comparison of hand washing your clothes using EnviroHome Laundry Detergent versus Chemical Laundry Detergent. Notice the foam difference both products produce when mixed with water. Soaking fabric in water and EnviroHome Laundry Detergent. No foam. Hand washing your laundry or baby clothes with foam-free EnviroHome detergent is obviously less painful and utilizes less water because you don't have to rinse the clothes over and over again with gallons of water to clear all the foams. Soaking fabric in water and chemical-based Laundry Detergent. Foam everywhere. To conclude, I think EnviroHome products are something that you should think of buying if you are looking for effective, all-natural and eco-friendly household cleaning products. I must admit that their products are somewhat pricey. But then again, in general we need to pay extra to get anything that is made of all-natural ingredients in the market because natural products offer much safer and healthier benefits to us and environment. Having said this, if you have the budget and intention to create a 'greener' and healthier home, do consider switching your home cleaning products to EnviroHome's. Learn more about EnviroHome products on their Facebook page here. If you still recall, last month I blogged about two places where you can see, smell, touch and take heck lots of pictures with Lavenders in Cameron Highlands. In that post, I also shared that one of my highlights during my latest Cameron Highlands trip in July was eating the Lavender Ice Cream with a beautiful Lavender beds as my background in Green View Garden. My Lavender Ice Cream and I.
I guess I was lucky. 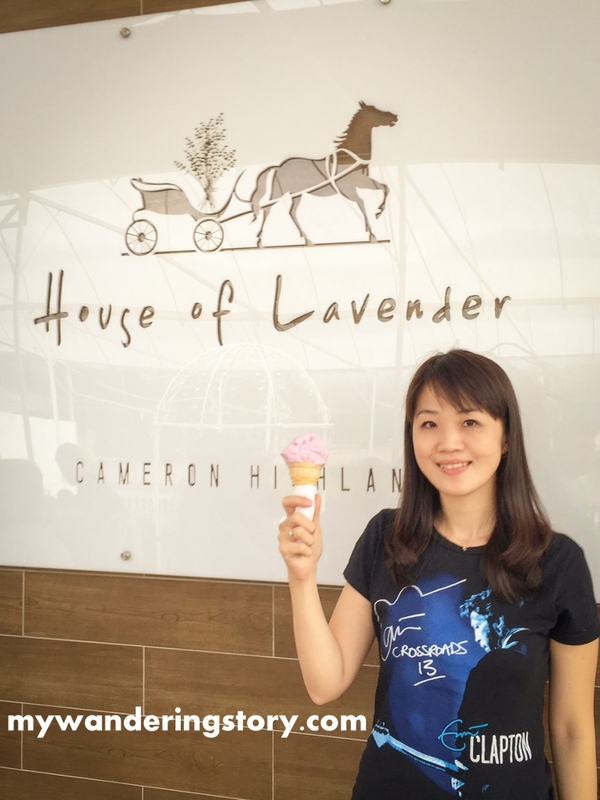 The management of Green View Garden, Cameron Highlands noticed my blog post about their Lavenders and yummy ice cream. As a thank you gift, they gave me 10 free hand craft ice cream vouchers to be used in my next Cameron Highlands visit. I was delighted with their generous offers. The blooming lavenders in Green View Garden. Unfortunately, I just went to Cameron Highlands a couple months ago and still cannot confirm whether I will be going there again in the next few months or in the first three quarters of 2016. Cameron Highlands is 5 hours' car drive from Seremban so it's quite a long road trip for us to get there. As such, since I do not want to waste the vouchers should I not able to go to Cameron Highlands next year, I decided to give away all my ice cream vouchers from Green View Garden to my blog readers who are interested or have plans to go to Cameron Highlands before September 2016. Green View Garden is happy with this idea so here you go, I got 10 ice cream vouchers for you to enjoy in your next Cameron Highlands' trip. TWO blog readers who are interested with the vouchers will each bag FIVE Handcraft Ice Cream Vouchers from Green View Garden. LEAVE A COMMENT below this blog post or this giveaway post on my Facebook and Instagram accounts and tell me: Your name, city where you reside and email address. (I will collate all the comments from all these platforms and choose the two winners). This vouchers giveaway is open to readers in Malaysia only and ends on Thursday, 17 September 2015. Two winners will be picked and contacted via email (and announced here in this blog post). Please don't forget to state your email address in your comment so we can contact you if you win this contest. 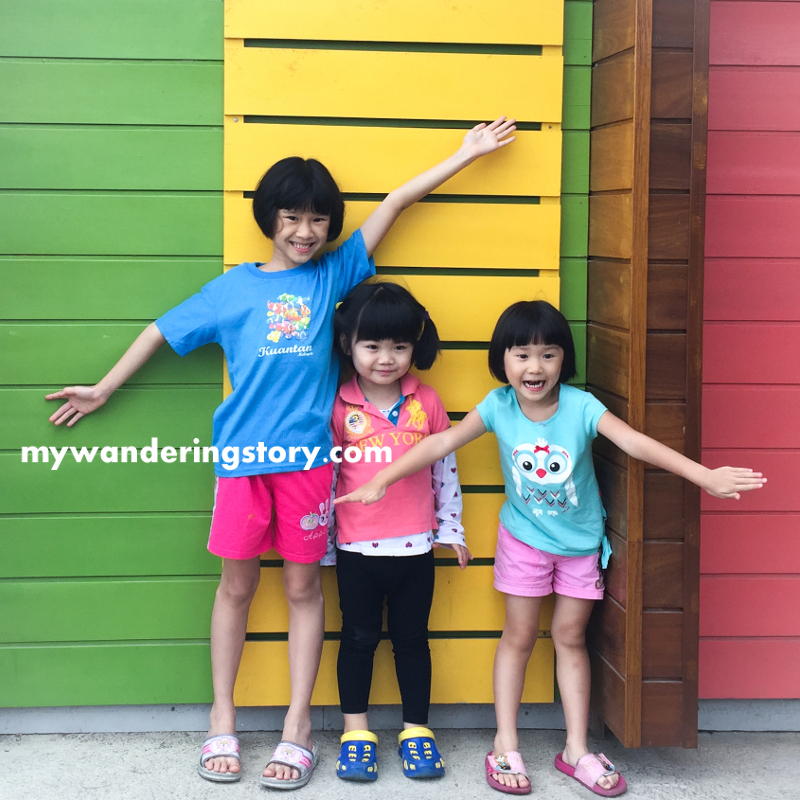 The kids exploring Green View Garden in early July. ** This giveaway is now closed. Congrats Dibba and Kirsten! An email has been sent to you shortly to claim the vouchers.